Here’s the sneak peek of the upcoming PLAY! by SEPHORAPLAY! SMARTS: Superfoods: Inner & Outer Beauty $20 ($31.00 value). The second Superfoods box from PLAY! SMARTS contains seven trial-size products! Plus, I’d like to share my first SEPHORA PLAY! SMARTS: Superfoods: Feed Your Face with you! Sephora – PLAY! by SEPHORA PLAY! SMARTS: Superfoods: Feed Your Face was $20 now $16 ($44 value). This post may contain affiliate links. Read the full disclosure. Happy Thursday! Here’s the Liberty London Ultimate Beauty Gift for Sept 2018! Plus, there’s a rumor of new Sephora PLAY! 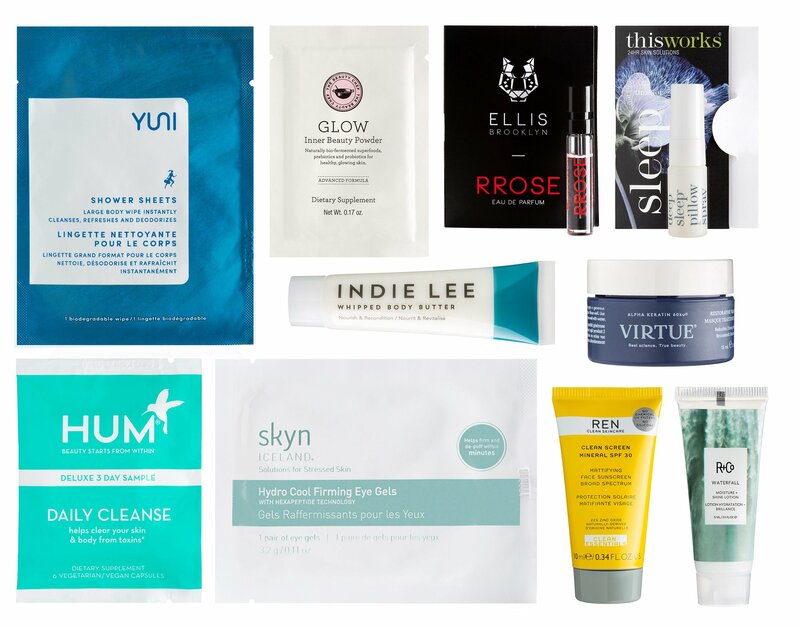 Smarts Skincare by Age beauty boxes for fall 2018! Liberty London (NEW) From 6th September 2018 spend £150 on beauty to receive a Liberty London wash bag packed with 25 must-try beauty buys. The Ultimate Beauty Gift with Purchase Worth Over £370. Liberty London fall goody bag looks so temping! This post may contain affiliate links. Read the full disclosure. Here a full spoiler of PLAY! by Sephora: Luxe 18 Vol 1 $25 – a $110.00 value. It’s quite a steal since I can’t afford the full size 🙂 *This post contains spoilers. Sephora is offering up new PLAY! by Sephora: Luxe ’18 Volume 1 $25 ($110.00 value). This post may contain affiliate links. Read the full disclosure. I didn’t give it much thought when I bought the latest Sephora Glitter Eyes for Real Life beauty box. I love glitter, shimmers and metallic makeup. Plus, it’s a secret power of Sephora that made me do it. The result turned out to be mixed feelings for me. If you love grown-up glitter, read on! Plus, I have a preview of the upcoming Play! Luxe Vol 1 by Sephora Beauty Box! *This post contains spoilers. UPDATE 7/17: PLAY! by Sephora: Luxe ’18 Volume 1 $25 ($110.00 value) available now. This post may contain affiliate links. Read the full disclosure. *HOT* 6-Pc Sephora Play Limited Edition Box 2018 Glitter Eyes for Real Life $20 AND Pick 5 Free Samples Coupon! OMG! Sephora has a new PLAY limited edition box $20. These boxes normally sell out in less than 24 hours. Plus, new Sephora coupon code – up to 5 free samples with $75 purchase. Also, extremely hot Clinique set that is basically free for us beauty junkies! Sephora (NEW) PLAY! by SEPHORA PLAY! SMARTS – Glitter Eyes for Real Life $20. This post may contain affiliate links. Read the full disclosure. If you have read my $10 Sephora Play! Box reviews, you may want to check out the Luxury Sephora Play Box version for $20 – no sub and it restocks at Sephora.com! I have the full spoilers and my unboxing to share! Find out if this box worth $20 for you below. PLAY! by SEPHORA The Beauty Remedy Edition $20 (A $140 value). Edition I is available again now. This post may contain affiliate links. Read the full disclosure. There are two new limited edition boxes from Sephora Play available today and for only $20, the value of the box is $140. This is such a great gift idea! Plus, if you make $45 purchase, you can grab the holiday beauty sample bag from Sephora for free too! Sephora (NEW) PLAY! by SEPHORAThe Beauty Remedy Edition $20 (A $140 value). No sub. No available at Canada site. VIB Rouge early access today, VIB 10/27 and Beauty Insider 10/28. This post may contain affiliate links. Read the full disclosure. Review: I love my August 2017 Sephora Play Beauty Box! Let’s chat and witness my luxurious August 2017 Sephora Play Beauty Box. Everyone, I’ve got the Hourglass foundation stick that is all the rage these days. I’ve been very happy with the Play! by Sephora subscription box recently (after the horrific April box). This post is for the Sephora Play August box number 130. PLAY! by Sephora Subscription $10 per month and shipping is free. This post may contain affiliate links. Read the full disclosure. Attention Beauty Box Lovers! I’ve rounded up September 2017 Sneak Peeks list. This is a list of (full) spoilers of Birchbox, Play! by Sephora, Target, FabFitFun Fall Box, Macy’s Beauty Box, Fall Box of Style. Plus, their hot coupon codes, free gifts or perks! I will update when new spoilers are available. * This post contains spoilers. Birchbox (NEW) Your Time to Shine Curated Box. This post may contain affiliate links. Read the full disclosure. Hi there, this post contains full spoilers of PLAY! by SEPHORA The All-Star Edition 2017! Also, a very tempting $140 worth of goodie bag from Ulta and Sephora Canada new beauty deals! Sephora (NEW) PLAY! by SEPHORA The All-Star Edition $20 includes This post may contain affiliate links. Read the full disclosure.